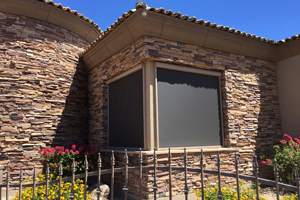 Roll-A-Shield is now offering a new level of privacy and comfort to your home or business. 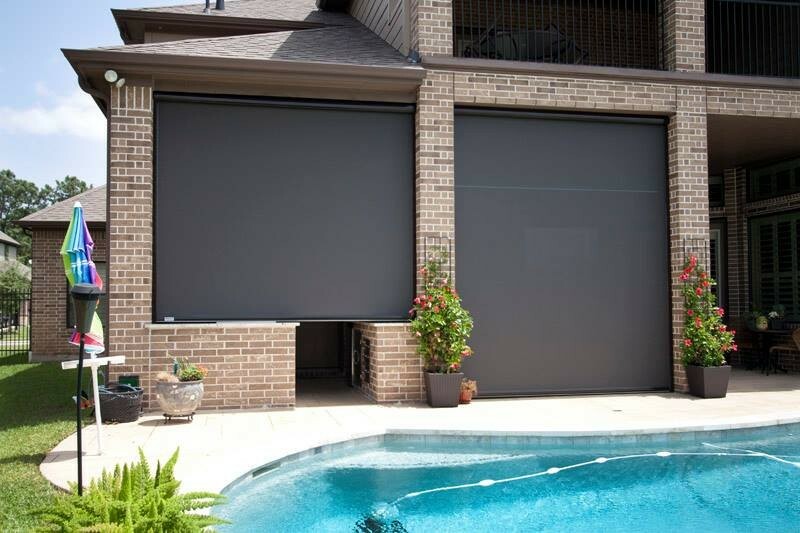 The Roll Down Screen solution is designed for those seeking heat and sun control, perhaps without the need for security. However, if screens and shutters are both desired, we are often able to install both in a “stacked” configuration. Whatever your application, we will work to make it happen, as everything we do is custom-made to your unique job! The Roll-A-Shield screens are made with fabric that is locked into a cast aluminum channel that runs the entire span of the railing system. Each rail offers a powder-coated, extruded aluminum finish, available in multiple colors. A special channel slides on during installation to hide mounting screws for a clean, finished look. The screens roll up into a sleek box housing at the top, also available in multiple colors. Motorized options with switches, remotes, and even phone/tablet apps make these screens extremely easy to use, whether near or far. Before the popularity of the zip screen, a homeowner with no shade trees had few convenient options to reduce the blazing heat and blinding light from the sun’s rays during certain times of the day when enjoying a patio or space near an office window. Also, protection from flying pests like mosquitoes and gnats would only be had by going indoors or relying on bug repellent. Today, automatic shades provide effective protection from airborne insects and the sun’s oppressive rays from the floor to the ceiling in just about any space you wish. 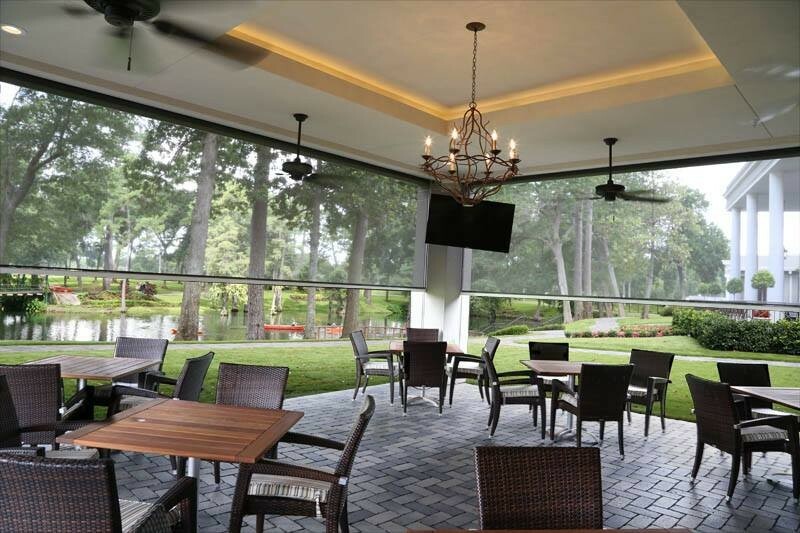 This is because the zip screen shading solution is designed to make your space the most comfortable it can possibly be by giving you the ability to limit exposure to the elements as much as you want. The automatic window shades Roll-A-Shield can install in your home or office can be raised or lowered to the height you prefer. Zip screens give you the ability to enjoy the best of both worlds – the climate control of an indoor space with the sense of openness of the outdoors. You will be amazed at just how clear the view is when looking through the roll up screen from the inside. While presenting an obscured view to those on the outside, the zip screen remains very easy to see through from the inside. Your new roll up screens will be durable and easy to maintain because of the way they are constructed. 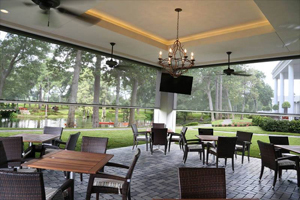 A zip screen is a custom made screen for outdoor areas or windows. These automatic shades are fully encased in an aluminum frame that allows for them to be electronically raised or lowered to your liking. They are sturdy and custom made to meet the dimensions of the space you are installing them in. You also can have the zip screen in an assortment of colors. Get the environment you desire. All the comforts of the indoors with all the sensory stimulation of your local outdoor climate are possible from behind the automatic window shade. Want lots of privacy? You can enjoy your space with the zip screen completely closed in the down position. Want to bring in some more light? You can partially raise your zip screens. Finally, barriers that are not constricting and highly customizable. Begin enjoying the summer without all the UV rays and mosquitoes. Maintain your own privacy while still maintaining awareness of what is going on right outside. 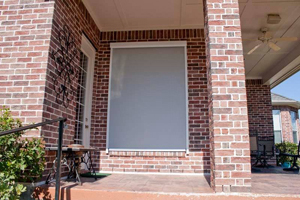 Our roll up window screens the modern and elegant solution. Contact us today to learn more about how zip screens can benefit your residential or commercial space. We can provide a free estimate and consultation on how your very own zip screens can match the particulars of the space. 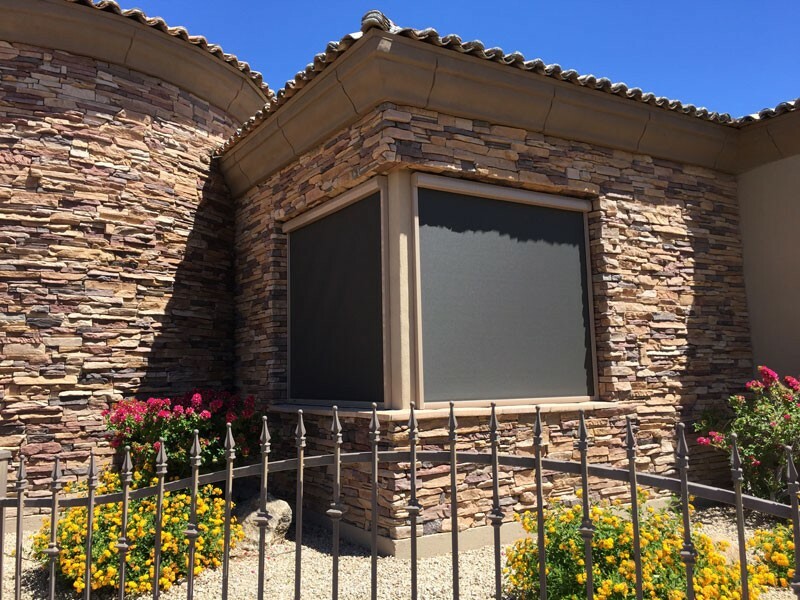 These automatic screens look great on a wide selection of architectural styles and can coordinate with all building paint colors.